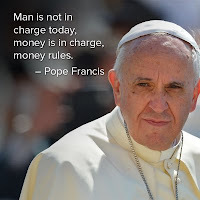 Corruption is a cancer: A cancer that eats away at a citizen's faith in democracy, diminishes the instinct for innovation and creativity"
For the record, Saving the Orphanage Property (STOP) was a three year grassroots campaign (2015-2018) to save the last significant open space in Ogletown, Delaware, for a regional park. A host of other reasons -- some critical -- also existed for why the land should have been preserved, and was not suitable for development. 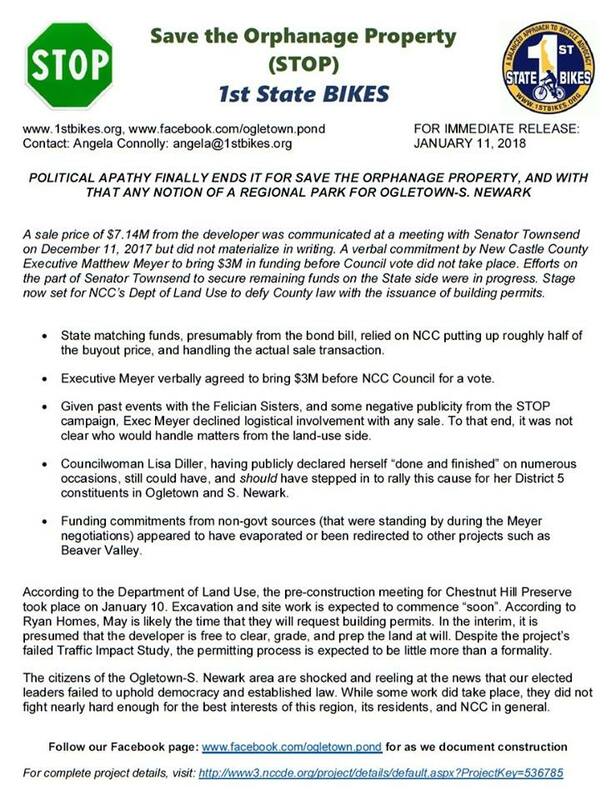 However, the effort was crushed and defeated by government corruption on the part of New Castle County (NCC) and State elected legislators with financial ties to development interests, and a newly elected pro-development County Executive. The below fact collection tells the entire story. No actual evidence was ever presented to disprove them. These legislators -- Councilwoman Lisa Diller, Rep Edward Osienski, and Senator Bryan Townsend -- then acted to deceive the electorate prior to the 2018 election, campaigning that they did everything possible to bring a park and place-making (180 acres of trails, critical habitat area, and open space) to Ogletown, and that these facts are in some way "unsubstantiated". All three then went on to resounding victories in their re-election bids, despite the dire environmental and socio-economic consequences. If any of the 16 facts below -- in BOLD font -- are false or inaccurate, please comment with the evidence and/or proof otherwise, and we will eagerly retract and update this blog. FACT: News of the Felician Sisters desire to develop the Orphanage Property was NOT brought to the public for over 2 years (documented) than it could have been. And discussion about the possibility of development was brought to Councilwoman Lisa Diller, Representative Ed Osienski, and Senator Bryan Townsend at the very beginning of that time. Additionally during the 2013-2015 time frame, Diller and NCC Council raised $150,000 to help the Felician Sisters get a plan approved, with virtually no public knowledge. FACT: From the time that the July 2015 public meeting was held at Holy Family Church, Councilwoman Diller and Rep Osienski were heard on many occasions referring to the development or their help in saving the Orphanage Property as "Done", "Finished", and/or "It (the Chestnut Hill "Preserve) is going to happen, it’s going to happen", etc. Osienski in particular made it clear in writing that a STOP campaign started years earlier -- in 2013 before the exploratory plan was even drawn up -- would have made no difference in the outcome. FACT: The Traffic Impact Study (TIS) was carefully scoped to exclude nearby signalized intersections that fail level of service (LOS). In contempt of the Unified Development Code (UDC), they used driveways, median cut-throughs and residential T streets along Route 4 to fulfill the "three intersections in each direction" mandate. This underhanded action insured that the Chestnut Hill "Preserve" would move forward with no chance of traffic concerns taken seriously. FACT: (Provided via expert opinion from a now former NCC Council member and expert in the field, and in a meeting between Advocates and officials from the NCC Dept of Land Use): The Orphanage Property sits atop one of the highest water tables in the State, and would be very difficult to build on without exasperating flood-prone issues in adjacent communities and a FEMA "100 year" flood plain down on Leathermans Run/Christina River. FACT: According to NCC’s GIS mapping tool, all 180 acres of the Orphanage Property was shown as “Low Density Suburban”, in terms of future land use. 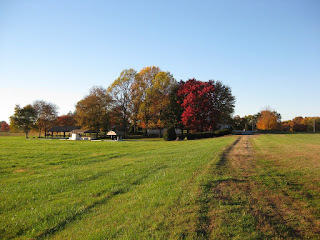 Somewhere along the way, without public notice, it was re-purposed as mainly High Density for the approximate 60 acres of open field space abutting Route 4. 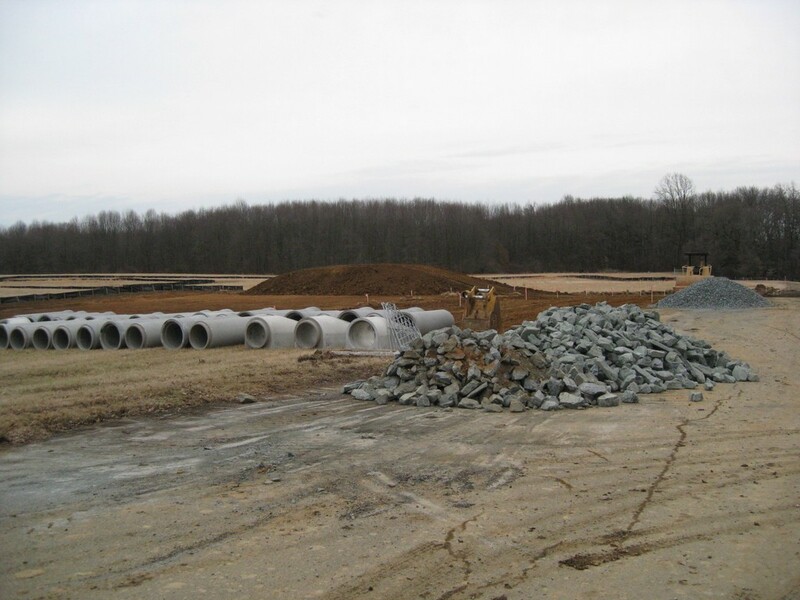 The rest (120 acres of non-buildable wetlands, woodlands, and vernal pools) became a “gift” from the developer, to be used to fulfill what is normally a very small percentage of open space mandated in the UDC. 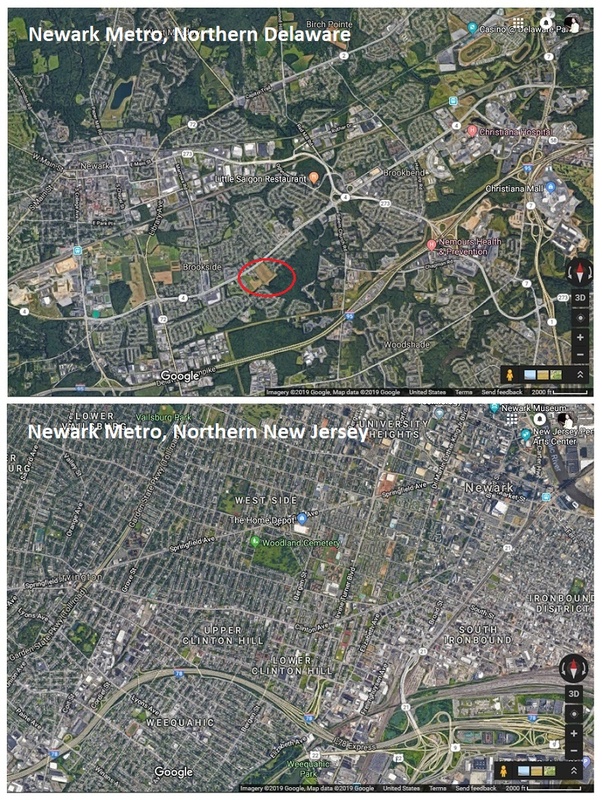 So, in essence, when considering what was actually “buildable”, and the fact that the Chestnut Hill “Preserve” does indeed clear and pave over a portion of the forest and wetlands, the result is a negative contribution to open space. 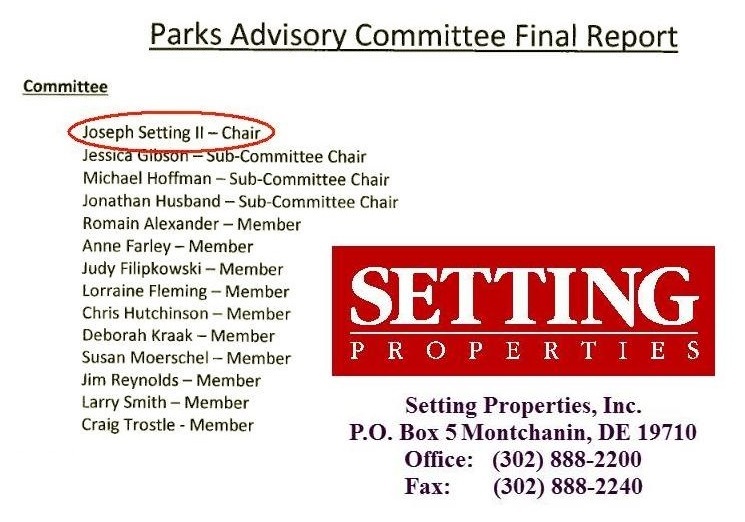 FACT: In a blatant conflict of interest, Exec Meyer appointed Joseph Setting (Orphanage Property developer at the time, according to the WNJ, and still vested via multiple LLCs) and Michael Hoffman (of Tarabicos-Grosso, firm representing the Felician Sisters) to Chairman and sub-Chair positions on the NCC Parks Transition Team. Their job was to help Meyer prioritize parkland needs for every region of NCC. This was a clear conflict of interest, and Save The Orphanage Property (STOP) Advocates filed a formal complaint with the NCC "Ethics" Commission (NCCEC). The NCCEC would not go beyond a "preliminary" investigation, basing their conclusion on hearsay and/or very minimal inputs. 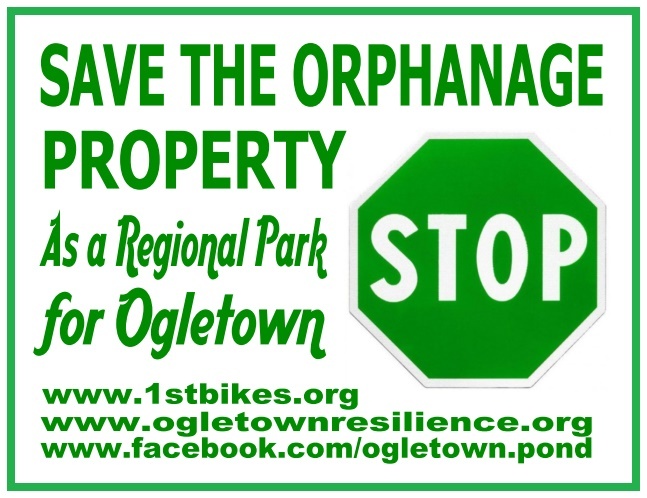 They ruled that it was not a conflict of interest and did NOT appear improper, when in fact, placing Ogletown-S. Newark (aka “Route 4 corridor”) at #3 priority guaranteed the Orphanage Property would be lost to development based purely on lack of funds. The Parks budget barely had enough to cover #1 and #2 – Red Lion and Middletown – whose land was either donated or already owned by NCC. Purchase of the Orphanage Property should have easily been #1, given the one chance-only opportunity it represented. FACT: Senator Townsend and Rep Osienski would NOT intervene, assert themselves and/or participate in Orphanage Property buyout negotiations; instead, they trusted and allowed their NCC Democratic colleague -- newly elected County Executive Matt Meyer -- to handle all negotiations on behalf of saving the Orphanage Property. Despite pleas from Advocates to oversee Meyer's negotiations, and the chance of losing this one chance-only opportunity for a park, both would not get involved and they wouldn't even enlist the highest office for help - the Governor. FACT: (According to Townsend through emails and phone calls): Exec Meyer FAILED to include several basic conditions in his written buyout offers that he had personally promised the Sisters in prior meetings (i.e. who's going to plow the snow at the entry road, etc). According to Meyer, there were four buyout offers -- but it was later found that only two were in any way usable. Because Diller had publicly stated in public and in an e-mail to her Constituents that she was “Done and Finished” and would not support the objections to the development -- and there was no State Legislator oversight in spite of them sharing constituents and being equally vested -- none of this was rectified. FACT: (According to Townsend through emails and phone calls): Meyer refused to offer above appraised value for the Orphanage Property, despite approx $1M dollars already spent in developer planning, engineering and labor that would have to be absorbed. The Felician Sisters, in favor of the park themselves, offered to "meet halfway" on that, as long as Meyer produced a viable offer with basic conditions met. Meyer hesitated, sticking to his non-viable offer, then he waited a couple of months for the Sisters to "counter". Upon not hearing from NCC and Meyer, the Sisters had to commit one way or the other. With so much uncertainty surrounding Meyer and government funding in general, the last Orphanage Property deadline passed and the land was locked in for development. Again, because there was no State Legislator oversight -- in spite of them sharing constituents and being equally vested -- none of this was or could be rectified. FACT: The Ogletown-S. Newark region does NOT have a regional park, and now thanks to Diller-Osienski-Townsend (and Meyer 11th hour) they never will. 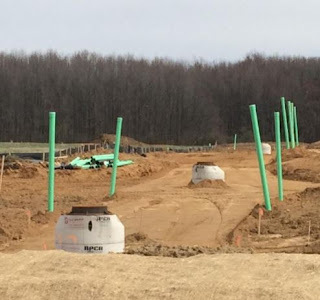 This is in contempt of the State's supposed Mission included in such programs as "Livable Delaware" (Minner), Trails & Pathways (Markell), along with endless studies and data that proves the value of such facilities to the health and well-being of the communities that surround them. The economic benefits of parks are also invaluable, and they more than pay for themselves. These three Legislators went the entire opposite direction, compromising an entire region's health, happiness, property values, and right of access to healthy exercise. Instead, they chose an increase in congestion and the stresses of over-development, and to require residents to drive 15-20 minutes to use another region's park. FACT: All 3 of the region's Legislators and Exec Matt Meyer accept numerous and generous campaign contributions from developers, land use attorneys, and others in the construction and building industry. Although STOP did receive a Resolution from the Civic League of NCC (CLNCC) in support of saving the Orphanage Property, Advocates are unaware of any efforts on their part to call out the enormous level of corruption that took place throughout the STOP campaign, most notably the above-mentioned conflict of interest and the NCCEC's failure to cite it. FACT: A highly esteemed past president of the CLNCC had repeated to Advocates on several occasions that it is 'normal' procedure for NCC Govt and the involved Councilperson to give the genuine appearance of helping citizens and Advocates in matters of land use and conservation. Then approval of the development project goes to a vote, at which point the entire Council -- minus the Councilperson whose district it is -- votes to approve it. This, in effect, helps said Councilperson salvage their job since they voted against approval, while the others voted to approve, making it "not their fault". Citizens watched this exact scenario unfold as Councilwoman Lisa Diller was the lone vote against the Chestnut Hill “Preserve”. FACT: (Stated by CLNCC members on several occasions): The NCC Dept of Land Use and NCC take in enormous sums of money from development projects, but in the long term, tax revenue from each new home ends up being 10-20% less than the County pays for needed civil and other services. This initial cash infusion drives NCC Council and their Legislators to act in the interest of short term self-preservation, not their constituents interests and regardless of whether existing home inventory is high or if parkland is needed. 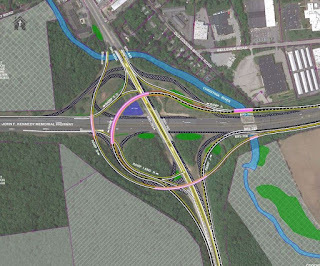 FACT: Councilwoman Lisa Diller voted YES with NCC Council to pay above appraised value for the land that the new Route 9 “Library and Innovation Center” now sits on. This facility – while welcome for a community well outside NCC Dist 5 -- ended up costing NCC nearly $30M after what was originally projected as a $20M expenditure. Diller, however, defended Meyer’s stance that NCC will not pay a dime over appraised value for the Orphanage Property, despite a relatively small amount being clearly justified and benefiting her own constituents. FACT: In Senator Townsend's on-line timeline "Ogletown Park", and in person and in emails, he and Rep Osienski tell a very different story from Exec Meyer of what took place during negotiations with the Felician Sisters. According to "County Efforts" -- an article published on NCC's website -- it appears certain that Meyer and NCC gave it their all in the buyout attempt. Townsend and Osienski, on the other hand, describe how Meyer was anything but sincere and genuine in wanting a regional park. Both have provided many examples supporting their positions, with Meyer going so far as to say that Townsend had originally secured $6M toward the Orphanage Property in the State’s bond bill. So in a game of "Name that Liar", we have two attorney politicians representing the County and State, with two very conflicting stories. FACT: For all intents and purposes, the July 2015 public meeting hastily arranged by Diller was already TOO LATE for constituent involvement in terms of best use for the Orphanage Property. It was also too late for Advocates to change the outcome to a park, given so much time and money already invested in planning the Chestnut Hill "Preserve". The Public and the Constituents, most importantly those in the communities adjacent to the project, were not notified, nor asked for their input. 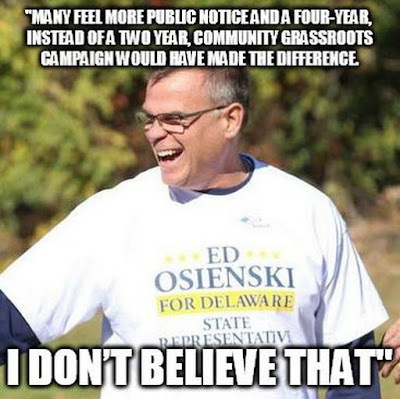 Counciloman Diller, Representative Osienski, and Senator Townsend refuted these facts throughout their 2018 campaigns, through hearsay or by applying their own political spin and/or attorney-speak to these events. Never once were these facts formally contested during STOP’s three year campaign, yet in what appears overwhelming fashion, the people approved of their job performance by re-electing them in a landslide. It should be noted, however, that this landslide (an average 2-1 margin for all three) represented about 20% of their district's citizens; about half are registered voters, and of those, about 2/3 turn out and vote. Then you have their legislative districts that are gerrymandered to ensure out-of-region participation. 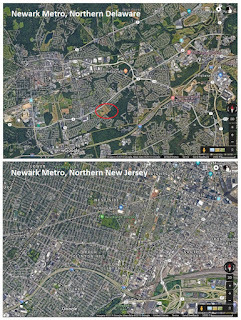 It is not clear how someone living in chateau country northwest of Newark, or someone living on Orchard Avenue near the University of DE, for example, has the same needs and interests as those living in, say, Brookside or Todd II. But then, the "system" is designed to ensure victory for these politicians, even those who commit the worst crimes against their constituents, because what effects one region likely won't affect the other (re-election chances saved). 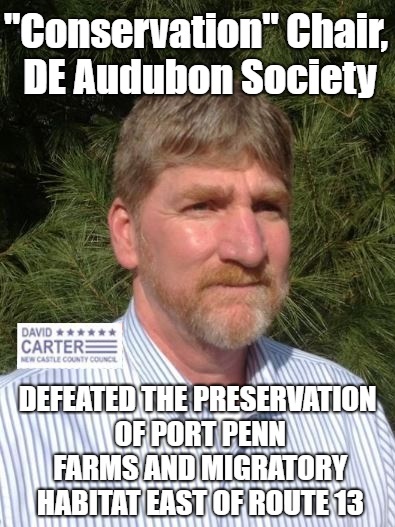 Absent were Delaware's key so-called "environmental conservation" and civic organizations, who either refused or could not be bothered with endorsing STOP after repeated appeals to do so. A few including Delaware Nature Society, White Clay Creek Watershed, and even the UAW's CAP Council jumped on board immediately with vocal and written support of three concise Orphanage Property preservation statements. 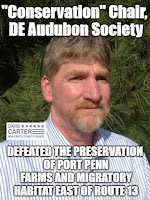 Delaware Audubon, Sierra Club, and Wildlands either declined or ignored the campaign completely. STOP Advocates were also met with resistance from Newark area "environmental" advocacy leaders, who not only didn't support STOP, but were troubled that their email list was used to reach out for endorsements. Among the few bright spots was the Civic League of New Castle County, that did endorse STOP. But actual support from that organization fell woefully short and/or turned negative as the campaign struggled late. Vic Singer, their most prominent and respected board member (and 13 years past Chair of the NCC Planning Board) maintained from the outset that Advocates were conducting an "emotional" campaign doomed to failure, instead of "simply" asserting the letter of the law as written in the UDC. According to Singer, the Chestnut Hill "Preserve" could be halted at the 51st NCC building permit. 51 housing units is all that the Unified Development Code allows dispensation for when level of service (LOS) is in failure mode -- as it most definitely is along Route 4 and at its intersections. The truth is, nothing was going to stand in the way of the full development; not Vic Singer; not DelDOT, and certainly not the State legislators, who could have easily secured the funds and stopped this travesty over the 6 years they knew about it. It was completely moot, and served only to create a false sense of hope; once all the key infrastructure elements (streets, curbing, sewer, drainage, etc) were in place, even if Singer was legally correct, a way to complete the entire development would still have to be found. In spite of this difficulty, there were a few on the CLNCC that did work with the STOP campaign when there was actually a chance (before construction began) to stop it, and their efforts were appreciated -- alongside several other citizens, organizations and Advocates that gave a hand. Given everything written above, the overwhelming odds are that a carefully orchestrated plan was in place to ensure that the Orphanage Property was developed. The Legislators mentioned above, acting on behalf of their campaign donors and/or other monetary interests, acted together to keep themselves safe from any form of judicial or disciplinary authority. NCC Exec Matt Meyer was granted exclusive control to "negotiate" on behalf of a County-State buyout, and would take the fall since he didn't need the Ogletown-S. Newark region for positive NCC-wide approval ratings. On the citizen end of things, a few folks residing in the adjacent communities of Todd Estates II and Breezewood were outstanding. But support from fellow Advocates, from so-called "environmentalists", and from local civic groups wasn't even lukewarm. That apathy, combined with rampant government corruption is what cost us this land, and given that, the Ogletown-S. Newark region will forever be at a loss -- a HUGE loss. People's indifference is the best breeding ground for corruption to grow"
Several of our followers have written, having noted a hiatus in our posting of articles. Nearly every last ounce of effort and energy has been focused on saving the Orphanage Property as a Regional Park for the Ogletown-S. Newark region. Without ideas or submissions from fellow bicycling advocates, we've had little time for anything else. 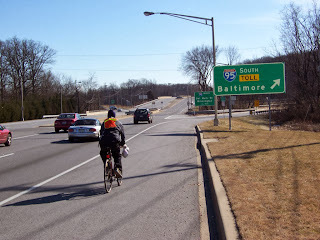 Saving the last significant open space on the entire Rt.4 corridor suitable for such a purpose did have serious ties to biking in the region, including a bicycle-friendly destination, local place-making, and an enhanced quality of life. Now being paved over with hundreds of unneeded homes, thousands of residents are forever condemned to racking up and driving their bikes (or sneakers, if walking or running) about 20 minutes, either to Glasgow or Pike Creek if they wish to enjoy such a facility. This contradicts Gov Ruth Ann Minner's Livable DE and the Trails & Pathways initiatives, among others. The Orphanage Property was an absolutely idyllic green space. At 180 acres of trail-laden forests, meadows and fields, it could have been the crowned jewel in a notoriously under-served area of New Castle County. 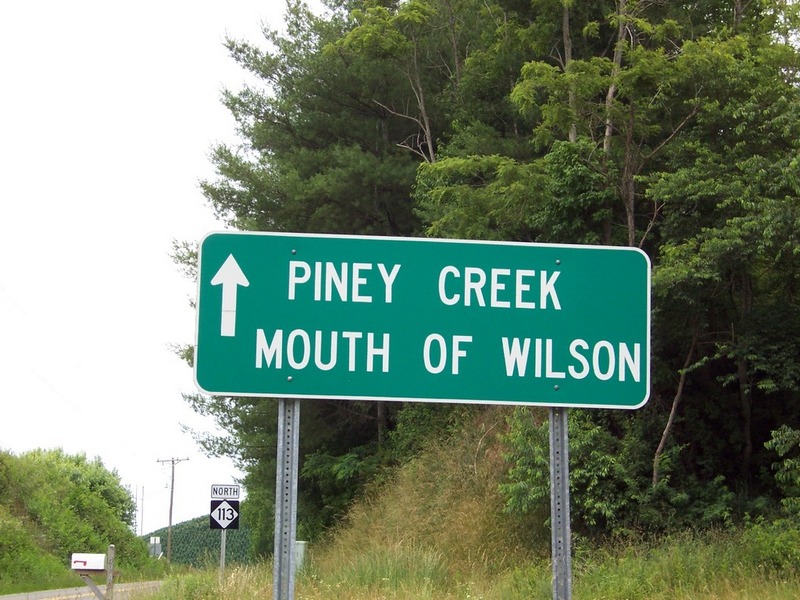 It would have made a superb legacy for one or more of the region's County and State legislators. But tragically, it was payback time for their campaign donors instead (largely comprised developers, contractors, and others in the building industry) and in their minds, short term profits trumped any such need. So in the end, a very select few people -- NCC Exec Matt Meyer, Councilwoman Lisa Diller, Senator Bryan Townsend, and Rep. Ed Osienski -- collectively made the decision against the wishes of thousands of their constituents, and now we must live with it forever. It's disgusting, to say the least. Notoriously absent among the STOP campaign's endorsements was of course Bike Delaware, who would never support open space or parkland acquisition if approached. Their Exec Director has even been quoted as questioning why anyone would. As opposed to their pro-development stance, 1st State Bikes is committed to a built environment in balance with the natural world. Not only is this critical for the well-being of humanity, but there is a whole host of socio-economic and environmental reasons why this is vital, if not imperative. This is all for now. Here are the most recent links to our partner blog "Ogletown Resilience", bringing to a bitter end what was an exemplary campaign in the name of responsible land use. Highest of odds that SR4 intersections already fail at LOS grade "F"
NCC, DelDOT appear resolute in accommodating Chestnut Hill "Preserve"
By Frank Warnock and Angela Connolly -- A 2.5 year exemplary citizen advocacy campaign to save the Orphanage Property (OP) in Ogletown in its natural state, and to truly preserve it as a future regional park has finally ended. Multiple windows of opportunity for buyout were -- time and time again -- refused action by our legislators on both the County and the State level. It is estimated that, judging by a 1,100+ following on social media alone, Save The Orphanage Property (STOP) had many thousands of area residents that were backing the campaign. No fundraising took place, and no memberships were offered; it would be the truest of grassroots efforts. Despite such widespread and enthusiastic support, no amount of action or visibility on the part of residents and citizens counted toward democracy -- and in light of a broken Unified Development Code, the rule of law. It has become painfully clear that, from STOP's earliest beginnings, fate was already decided. 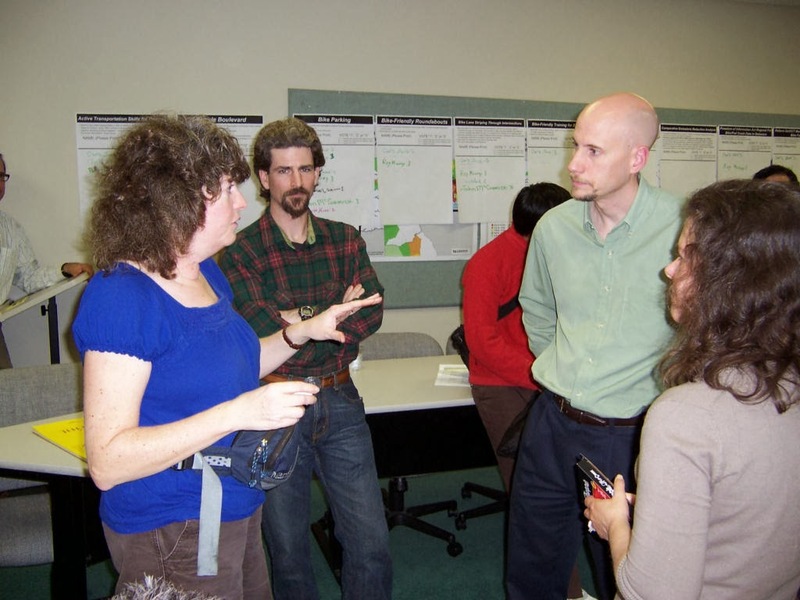 Councilwoman Lisa Diller, State Rep Edward Osienski, and Senator Bryan Townsend were well aware that development of the OP was coming as early as 2013, and kept it a secret from their Constituents until it was too late. Shortly after the CHP was accidentally leaked, Councilwoman Diller was forced to call an emergency public hearing. At least one is required by County law for any major plan. In July 2015, hundreds of area residents came out to Holy Family Church and were shocked and dismayed to find out that the CHP was already well advanced and would be difficult to stop. Had Diller, along with our two State Legislators brought this to the public two years earlier, it could have been an entirely different outcome. A way could have been found to provide the Felician Sisters with their 60 units of affordable housing, which the STOP Campaign supported, while preserving the bulk as a regional park. The Nuns at that time had even favored such an outcome over the development. Immediately after this first and only hearing, "Save Ogletown Pond" (SOP) grew exponentially, with the immediate goal of steering any development away from the "Ogletown Pond" critical habitat area. The developers did comply and adjusted their plan to the west and closer to Breezewood. But the larger goal did not stop there; it was soon obvious that everyone wanted the entire parcel for dedicated open space, wetland protection, wildlife buffer, and ultimately, a regional park. The Ogletown-S. Newark area is devoid of such a facility, that could be walkable, jogable, or bikeable from their homes. Those closest -- Glasgow and Pike Creek -- are a 20+ min drive for most, which contradicts Gov Minner's "Livable Delaware" and DNREC's "Trails and Pathways" initiatives (among others). The Orphanage Property represented the last potential green space that can be designated, and in the process, it would prevent some of the horrific damage being done to Delaware's bio-diversity and wildlife habitat according to a recent report authored by Senator Stephanie Hansen. That chance is now gone due to political apathy and indifference, and a shunning of "We The People". The amount of dishonesty and half-truths by these legislators was staggering. They did a superb job at keeping advocates in flux, confusion, in darkness and not knowing, and having to guess who was on the side of truth. Councilwoman Lisa Diller insisted all along that the property was not for sale, and for all intents and purposes, she was "done and finished" with any notion of a buyout. She made that clear in meetings, and in writing, in one of her e-newsletters. That simply wasn't true, because as seen, it was later sold to developers. The onus then shifted to NCC Exec Matt Meyer, who failed to produce a buyout proposal that was acceptable to the Felician Sisters. During that time, Senator Bryan Townsend repeatedly said that Mr Meyer threw away several windows of opportunity. Because it was Mr Meyer who was meeting with the Sisters, not the State legislators -- who were either prohibited or unwilling to participate -- advocates had no conduit and thus no way to know if progress was being made. In a leap of faith, they chose to put their complete trust in Senator Townsend, who claimed to be in regular touch with the Sisters and thus, receiving their updates on negotiations. The news was not good; Mr Meyer, according to Townsend, had bungled repeat buyout offers by not meeting several basic demands that he and the Sisters had verbally agreed upon. He simply wasn't "going after it" with the heart of someone who really wanted a park for Ogletown. He had an excellent deal in the palm of his hand, with a huge multiplier in State money, but simply wouldn't close it. This was the news coming back to advocates with repeated calls and emails from the State Legislators, mainly Senator Townsend. In the time that ensued, the announcement came through that the Sisters sold the OP to Robert Sipple, a major land developer. With Ryan Homes, he is currently heading up the controversial LaGrange development along Rt.40 in Glasgow, where they are fighting to develop a "permanently" protected historical area (more on that in future posts). Advocates re-organized and thought it best to contact Mr Sipple directly, and ask for a meeting to find if there was a price that he and his people would accept in a buyout proposal. A non-STOP advocate (who chose not to be identified) made contact with Mr Sipple through Joseph Setting of Setting Properties. Mr Setting is the developer that was cited by the Wilmington News Journal as the developer of the OP just shortly after the CHP was leaked and then announced in 2015. He continues in one, possibly two LLCs that are associated with the development of the OP, which runs contradictory to his claim of being disassociated. The meeting took place around lunch, with Senator Townsend in attendance. Apparently, Rep Osienski was unable to attend for medical purposes. Or so he says. There was no agenda, but Mr Sipple quoted a figure of $7.14M that he thought would be an acceptable buyout cost, but that he would need to meet with his partners to discuss. Little is known about the meeting beyond that, but Sen. Townsend insisted that his repeated calls and emails to Mr Sipple since then had gone unanswered. It is his opinion that Mr Sipple's lack of confidence in NCC is what has him now moving forward with the CHP as opposed to any thoughts of selling. As it turned out, Advocates did learn that Exec Meyer had agreed to bring 1/2 the buyout price before NCC for a vote, which if successful, would make the OP a State and County purchase as originally hoped for. Unfortunately, Mr Meyer also said that he wanted no part in negotiations with Mr Sipple or any logistics in a buyout. That alone ended any notion of County involvement, financially or otherwise, because any deal on this scale must come at the County level. Complete silence from all parties would follow, with the exception of one instant message from Exec Meyer on the evening of Jan 17 putting his $3+M offer in writing. His language suggested he was naive about the current situation, and questioned if the Bond Bill funding had come through on the State side. Nothing he said indicated he had spoken with Senator Townsend or Rep Osienski. He further suggested that it was their failure to progress that held things up. Meanwhile, Townsend replied "I have seen email communication from Meyer that is not at all a rosy picture of support for [STOP]. Meyer (of course) says he supports [the buyout], but then goes on to say how the County can't afford to participate." As of 1:30 p.m. on Thursday, January 18, 2018, surveyors set up camp on the OP. 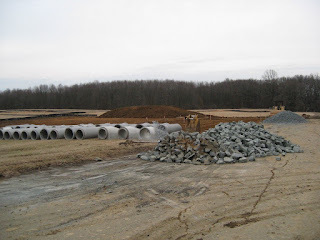 They are beginning the drainage and utility mapping for 270 homes that are now sure to come. The CHP is anything but a "preserve", but in a complete oxymoron, that is what they call it. This super high density development will completely fill in the region's last remaining wildlands and open space that is suitable for a deserved regional park. Construction will soon be underway, with no apparent way to stop it. We will now summarize some key aspects of the STOP campaign, and why things turned out the way they did. Councilwoman Lisa Diller declared herself detached and unwilling to champion the cause, insisting all along that the land was not for sale. Executive Meyer was not a sincere proponent of STOP either, and kept finding reasons not to commit. Was it because he accepted maximum campaign contributions from numerous developers in Delaware? He also appointed Joseph Setting, a campaign donor and developer of the OP (according to the Wilmington News Journal), to serve as Chair of his Parks Transition Team. Mr Setting's role was a direct conflict of interest, giving him significant influence and input over where NCC parkland was prioritized. He remains vested in the property today via one, possibly two LLCs. The Dept of Land Use (DLU) will be issuing illegal building permits for 269 apartments, townhomes and large-scale homes as part of the CHP, probably by Spring 2018. According to the Unified Development Code (UDC), if a project fails its Traffic Impact Study (TIS), it is not permitted without traffic level of service (LOS) improvements funded by the developer. 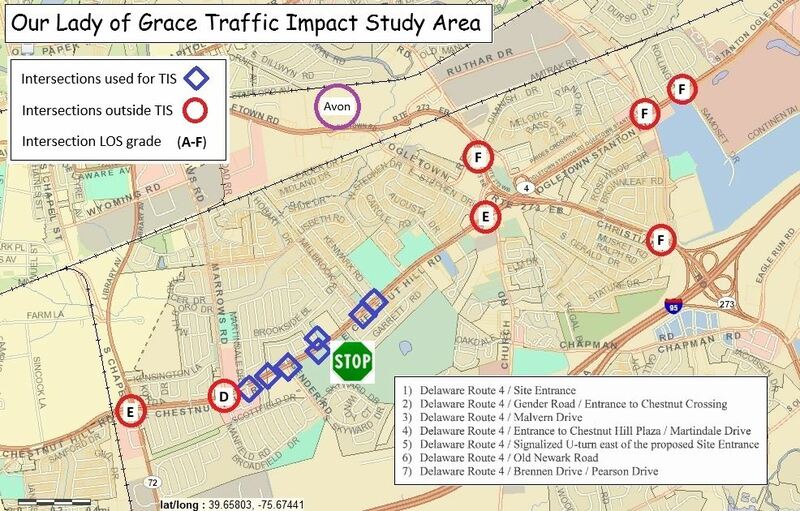 In the case of the CHP, DelDOT expanded the scope of the TIS by six intersections, two of them in grade "E" failure mode based on 2010 study data. Today they are likely "F". 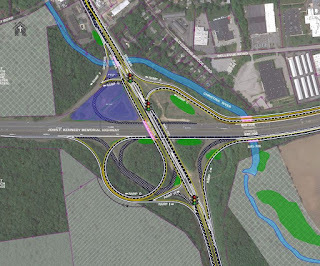 Ironically, the author wrote that these were to be omitted, however, UDC section 40.11.124 states the contrary – that DelDOT's recommendations are equally relevant. Therefore, issuing building permits is illegal. Repeated attempts to contact Mr Richard Hall, Manager at the DLU, have been made, and are still being made, to no avail. Advocates need to see in writing where in County law that the DLU or anyone else has the authority to override TIS regulations when the transportation system is already overwhelmed, or otherwise exercise discretion over how it's carried out. Mr Hall, at rehall@nccde.org, refuses to reply. 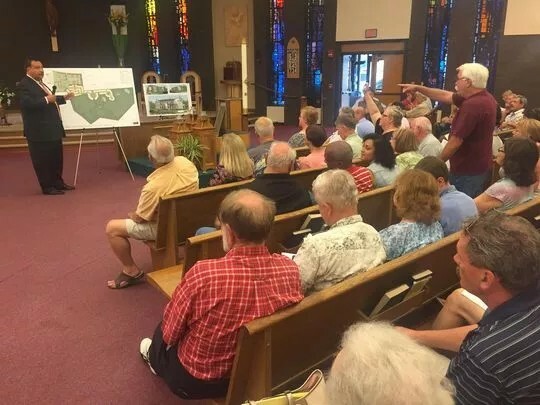 Rep Osienski, Senator Townsend, and Councilwoman Lisa Diller all knew that the Nuns were pushing for development as far back as 2013, but didn't think they were serious and/or would succeed at getting a plan approved. They didn't think anything would happen, and did not see the land for the invaluable opportunity that it was. They never considered land conservation in their districts, or securing a regional park for the people to enjoy and be proud of. By 2015, the CHP was far along in the planning, and their constituents had no choice now but to be TOLD what was coming to their community, instead of an appeal for comments and public input as is typical in the beginning stages of any major project. All three Legislators failed to inform and engage the Community in enough time to work together to help the Sisters realize their goal of creating affordable housing, while finding a suitable way to preserve the rest of the land. This tragedy could, and should have been avoided, through effective communication by our Legislators, with their constituents and with the Felician Sisters. Approval of the CHP is a major blow to several Delaware initiatives intended to save our environment, fight climate change, and promote walkable, bikeable, and livable communities. The justification for a buyout of this land was overwhelming, and should have been jointly embraced by County and State Govt. During the STOP campaign, advocates also worked hard, and showed strength in numbers in Dover, at Bond Bill hearings, to promote funding for programs that include 10-9, or $19M, that is supposed to be included in the budget for open space and farmland acquisition and/or development rights -- by law. This was denied. Then advocates fought for open space as a plank in the Democratic platform, and that failed too. With Democrats in control of most of Delaware's legislative bodies, it would appear that open space and parkland is not their priority, and not to be funded or fought for. Whether or not it was a vested interested in the Chestnut Hill "Preserve" (CHP), corruption, or simple indifference, one thing is abundantly clear; the loss of STOP was a colossal failure of political will and competence. The Ogletown-S. Newark region was already known to be dis-enfranchised in matters of community, place-making, and local access to quality regional parkland facilities. What has taken place here only cements this issue further, and in a way that can never be reversed. The goal now must be to replace these lawmakers with just and competent leaders who will listen to, and respect "We The People". November 2018 is not far off. STOP has finally reached an end; Ryan Homes moving forward with Chestnut Hill "Preserve"
On Dec 11, Joe Setting and Bob Sippel (the developers) were taken out to brunch, basically getting them to the table. The goal was to find out if there was still the remotest possibility that they might consider a buyout offer for the Orphanage Property. It became apparent that both were sympathetic to the cause, and willing to consider a sale price of just over $7M. And with that, the County and State would be gifted another chance to negotiate a deal. Unfortunately, this did not materialize in writing due to, again, lack of County commitment. New Castle County Executive Matthew Meyer was heard saying that he would consider $3M for County Council to vote on, but wanted no part in the buyout or logistics in any agreement. As the State is ill-equipped, this would leave nobody to oversee the transaction. Despite the County, it appears that over half of the needed funding had come together on the State side, but without NCC contributing in the manner necessary, it simply wouldn't happen. Councilwoman Diller has put no known effort into convincing Meyer or her colleagues of the importance of pursuing STOP. When it comes to political will, there is nothing we as citizens can do to change it, except in the voting booth, after it's too late. And even then, by virtue of how districts are gerrymandered, even Mrs Diller as an incumbent is considered "safe" for future terms in office. As seen early on during the first sale opportunity with the Felician Sisters, nothing in either Diller or Meyer's actions suggested that they want STOP to happen. And now, despite the gift of a second opportunity, they have chosen to run out the clock instead. While the State has appeared the hero in all of this, it cannot be forgotten that all of STOP's district electeds were aware of the Felician Sisters attempts to develop the property as far back as 2011. No one seems to recall any of them bringing this to the community, its leaders, or the press as a "code red". They did not see the value in any of the points and arguments that STOP presented over the last 2 years. Had it been put on the radar, even in 2013, we would have worked under Exec Gordon's watch well before this Chestnut Hill "Preserve" was even conceived, and very likely achieved the outcome that Ogletown so desperately wanted and deserved. The pre-construction meeting between NCC Land Use Dept and Ryan Homes (builders) took place yesterday. Earth movers are expected to commence clearing, grading, laying the roads, and digging the utilities in the coming days or weeks, according to the DLU. 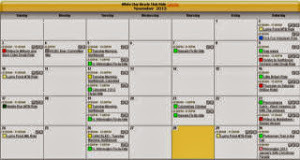 Actual building permits will come in May. The dream of doing something great for the community is over, and will soon be replaced by a nightmare that nobody wants. Gone is bringing folks together for the sake of the planet, to preserve our quality of life, and address the need for place making in Ogletown. Now, the region will never be the same, nor will they ever have another chance at something like this. What can we say, about Delaware's consistent ranking among the worst States in the U.S. when it comes to pedestrian fatalities? Unfortunately, 2017 will almost match 2015, when we took the #1 spot per capita -- even beating Florida. Currently at 32 dead, that translates to 3.9 per 100,000 residents, and will likely get us there. With advocate's help, DelDOT is doing an excellent job when it comes to adding crosswalks, sidewalks, bike lanes, etc whenever possible, on a limited budget, usually during repave and reconstruction projects. But facilities can only do so much; Delaware has an enormous problem when it comes to aggressive and distracted driving. Most use "smart" phones behind the wheel -- and very few drive defensively. Law enforcement is weak to non-existent, mainly throughout the State's unincorporated zones (most of the State's suburbs). Combine that with some pedestrians who are wayward and/or wear "dark clothing" -- as the press loves to point out -- and that's what gives us this horrible distinction. As most are now aware, the Advisory Council on Walkability and Pedestrian Awareness was created in October 2015 to begin addressing the issue. Unfortunately, little they propose will change anything; their main focus is reigning in careless pedestrian behavior. Without stepping up vehicle law enforcement, too many drivers will continue to speed, act with aggression and intolerance, share attention on the road with their "smart" phone, and fail to account for vulnerable road users. As a result, they see them when it's too late. According to every national study ever conducted on the subject, use of phones while driving is the equivalent of DWI -- yet even texting is readily dismissed by law enforcement as a societal norm. This gross disparity is where most of the problem lies. Shortly after its inception, the ACWPA was gifted a historic opportunity to reform Delaware's vehicle code for the purpose of pedestrian safety. 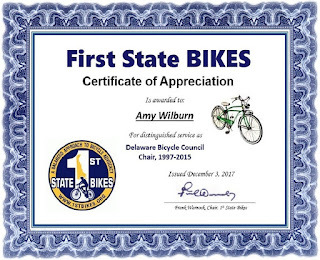 On Christmas Eve, 2015, Amy Wilburn (former Chair of the Delaware Bicycle Council) and Frank Warnock sat together at Friendly's Restaurant and crafted language for a Senate bill. They did not re-invent the wheel; they merely borrowed language found in States ranking far higher than Delaware, including those at the top like Massachusetts and Oregon. 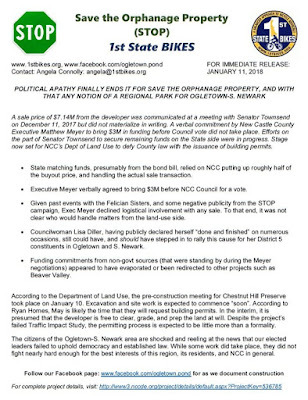 For reasons we'll never understand, the Council handed Bike Delaware control of a subcommittee that ultimately quashed any notion of changing the law. Passage of the "Pedestrian Bill", as it was referred to, would have been just the shake-up Delaware needed to put the focus on pedestrian safety and motorist's behavior around them. Instead, they thought it best to go on victim blaming, and to better accommodate bad driver behavior. Until that changes, we will continue to be the "1st deadliest State" in the nation where walking is concerned. Finally, DelDOT's stubborn insistence on utilizing the 85th Percentile when setting speed limits is literally killing us. 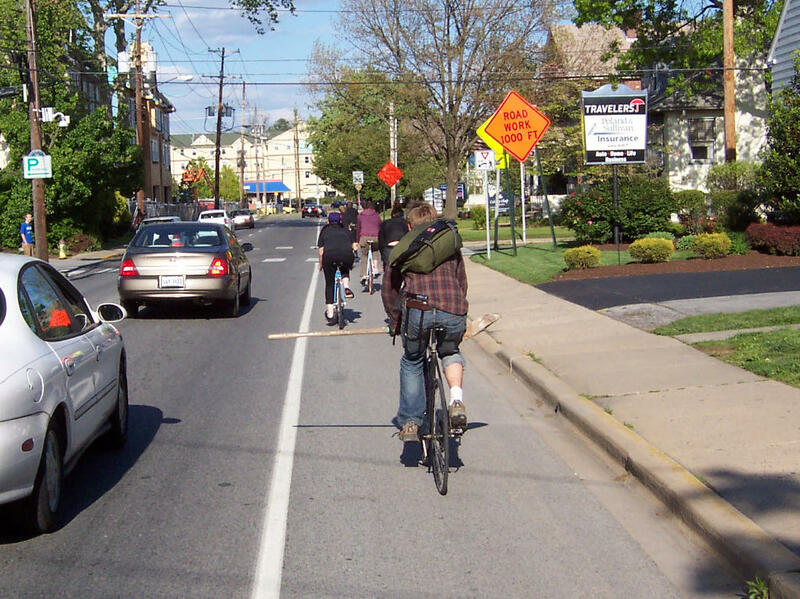 Too often, this method results in highway speeds that are permitted through zones rich in walking and bicycling activity, including residential, retail -- even in front of schools. By assuming that basically 85% are "good drivers", this too is a direct contributor to the problems outlined above. In the years ahead, let's hope life overtakes the need for speed and saving scant seconds in every trip we take, regardless of transportation mode. We reviewed the updated vehicle code resulting from the passage of HB-185 (Bicycle-Friendly Delaware Act), found in DE Title 21, Chapter 41, Section 4116. 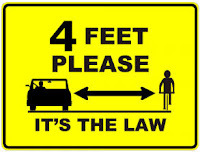 Missing is any reference to safe passing distance of bicyclists unless being overtaken by a vehicle in the same lane, assuming it is wide enough to safely share. Riding within shoulders and/or bike lanes is not accounted for, which are very common and count as a lane in their own right. A Newark commuter enforces the 3' passing law - with a shovel. The original vehicle code wasn't the clearest either, but it could have been construed that motorists are to move out at least 3' regardless. 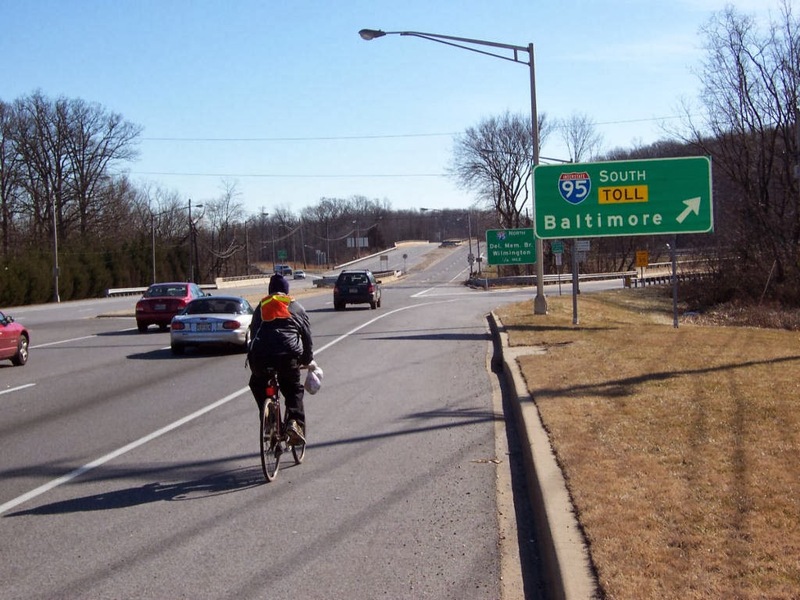 By not including shoulders and/or bike lanes, Bike Delaware failed to cement these as applicable; therefore, you are not covered under the safe passing law because you are in your own lane of travel. Motorists who overtake while straddling the white line -- common, often deliberate -- are permitted to do so as long as keeping to their own lane. In a 4' bike lane, for example, the bicyclist's footprint can occupy as much as 3' elbow to elbow. For a motorist with a tire on the white line, this would leave a foot or less passing clearance. This is especially terrifying in high speed conditions. As we already discussed in previous articles, HB-185 did include some long overdue updates to the vehicle code, and we applaud the hard work that went into that. Unfortunately, what could have been a great bill ended up fair, and somewhat hurting past progress as seen here. The bill also came up short by failing to include any anti-harassment language, except a ban on frivolous honking, as we discussed in this analysis. This is what to expect when you have a LAB sanctioned State organization whose approach to advocacy lacks pragmatism and balance. Their inner sanctum only recognizes total separation from traffic -or- total integration with cars, and nothing in-between. As a result, they do not support on-road bicycling infrastructure, but at the same time, believe it is they -- and only they -- that represent the interests of bicyclists in the State of Delaware. Because of this, they would never think to engage the wider bicycling community for input. Had they done so, we might not be faced with this predicament. We'll again repeat that, as a non-profit organization, Bike Delaware must become more open and transparent. Nobody knows what they are doing until it is already in motion. It's time for them to lift the veil of secrecy, and put their projects out to comment among the broader bicycling community. Most would agree, for example, that upping the law to a 4' passing distance anywhere a bicyclist is encountered would suffice. Lane changes could still be required with narrow or multiple lane configurations, and an anti-harassment component could have been included. Let's hope that any efforts to amend the bill, or further update the vehicle code is carried out in a more open and accessible manner. We are still in the preliminary stages of our project development process. A public workshop was held on December 5, 2017. Thank you to all who were able to attend! 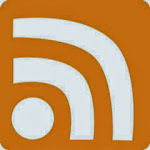 We will solicit comments for a 30 day time period. A preferred alternative will be chosen in Spring 2018 and we will begin design. We had a very successful public workshop on December 5, 2017 with over 120 people in attendance! For those who were unable to attend, below are copies of the boards that were shown. We have 3 different alternatives that will address the purpose and need of the project. We will be collecting comments for an additional 30 days. Please utilize the official comment form on our website. There should be no justification whatsoever for nixing multi-modal accommodations from these plans. SR896 is open to bicyclists, and there is a long history of conversation that a safe passage over I95 here is sorely needed. It is the direct route south out of Newark, and would ultimately connect with new and existing pathways parallel to SR896 en-route to Glasgow and points south. Email your comments to the project engineer breanna.kovach@state.de.us and CC dotpr@state.de.us to ensure it's recorded. Cross-post this as an action alert to other pages, and share to other orgs on social media sites, i.e. Bike Newark, Newark Bike Project, etc. Below are reduced-size JPG images of the 3 options. As discussed, none contain bike/ped facilities of any type. Should they be included, a multi-user pathway (MUP) could be extended between I95 and Old Baltimore Pike on the south side, on plentiful county-owned lands (Iron Hill Park). From there, existing pathways continue on the southbound side, past Glasgow HS, 4-Seasons, and Glasgow Business Community. 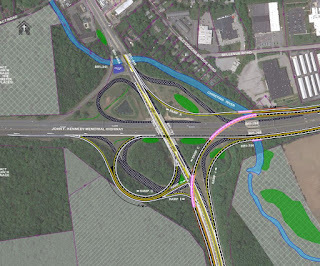 These could be readily connected to the Rt.40 corridor via Old SR896 and its future pathways currently being built piecemeal. We will contact DelDOT to inquire on a periodic basis, and provide updates as they come available. It's almost never that we call out DelDOT and/or the Delaware Bicycle Council for something shameful. But here, we are clearly justified.
. . . but as seen in these meeting minutes, that never happened. 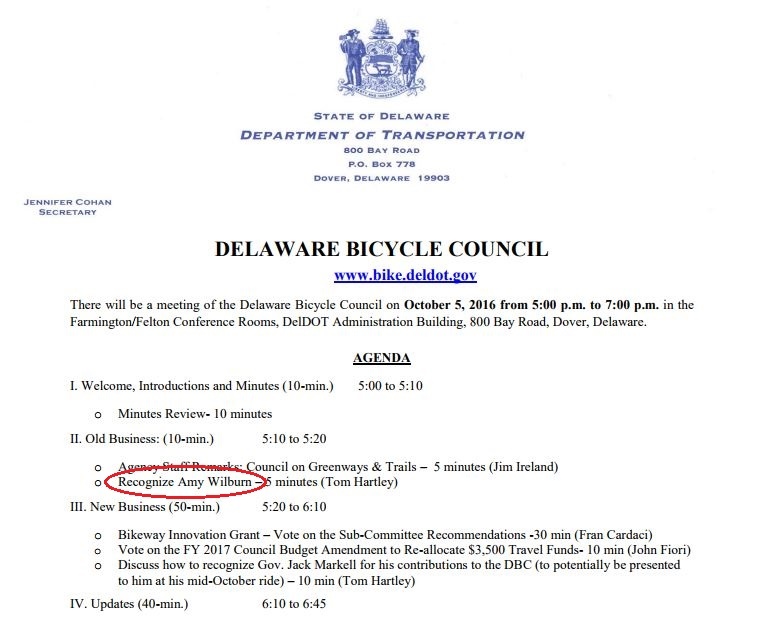 Bike Delaware, unhappy with DBC's focus on road advocacy and safety, tried to replace Amy in 2015 with their Executive Director James Wilson, who was defeated handily by the loved incumbent. 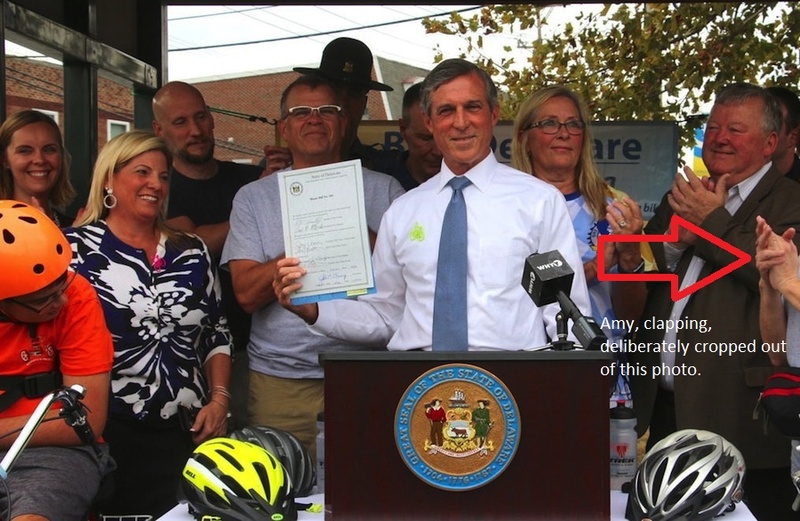 Bike Delaware would finally have their way in 2016, with Tom Hartley taking the Chair uncontested (upon Amy's decision not to run for a historic 9th term). Amy was deliberately cropped out of this photo on Bike Delaware's website, of Governor John Carney signing the "Bicycle-Friendly Delaware Act" on 10/5/2017 in Newark. 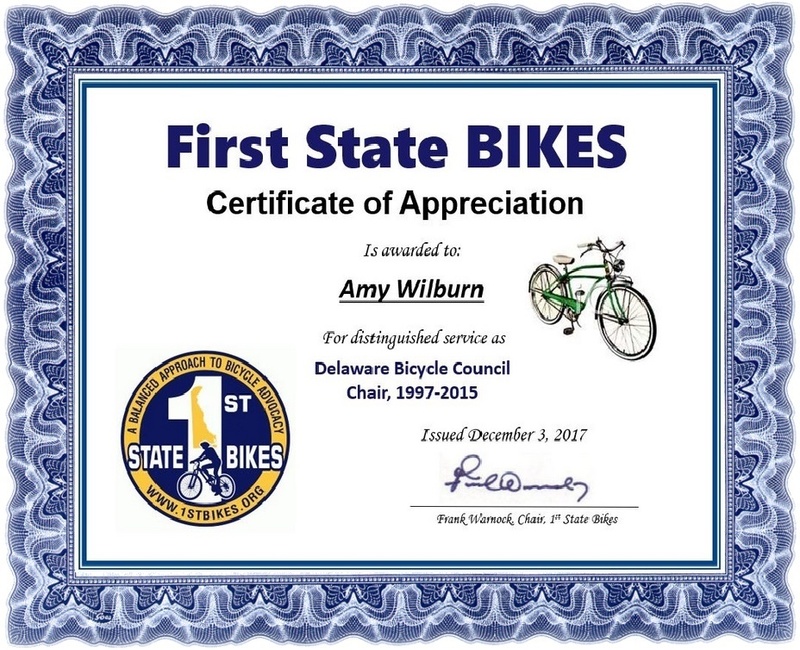 The Delaware Bicycle Council was established in May of 1990 by House Bill 505 to "consider, review and work on matters pertaining to bicycling, bicycle safety and bicycle safety education and to make recommendations to various state agencies." Originally organized with nine members, the Council was expanded to 15 members in May of 1996 by House Bill 556. Members are appointed by the Governor with staggered terms and include representatives from the Department of Transportation, The Council on Transportation, The Department of Education, The Delaware State Police, The Office of Highway Safety, The Division of Parks and Recreation, The Council on Greenways and Trails, The Division of Public Health. In addition, seven citizen members are appointed - two from New Castle County, one from Kent County, one from Sussex County and three At-large. The Council meets at least five times a year. 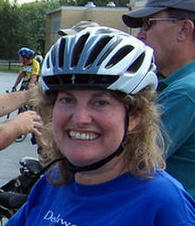 Staff support is provided by DelDOT's Bicycle/Pedestrian Coordinator at 760-BIKE. Let's hope the DBC and/or DelDOT recognizes this issue, given the importance of cultivating new volunteers and new relationships that will help move bicycling forward in Delaware.